Compared to their 4 foot models, the Butcher Block is a full size table measuring up at 6 feet in length. It offers a unique butcher block cabinet look that almost resembles a cutting board. 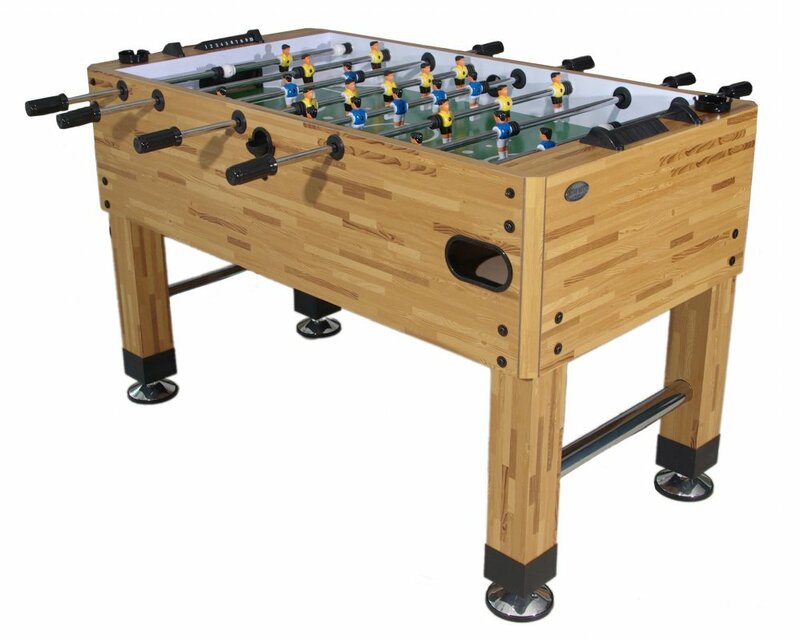 It has traditional style foosball men, side ball returns, telescopic rods that don't stick out on the other end of the table, and adjustable leg levelers. It is a sturdy table but won't hold up to some of the more expensive tables that are designed for tournament play.